They say this is a B.T.S. (Bacon Tomato Sandwich). 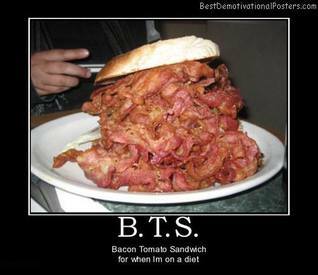 But, I don't see any tomato here, just Bacon ...and, that is exactly how I like it! So, I am going to call this the B.S.E. - Best Sandwich Ever! !